The Scholarship is established to assist students to undertake Postgraduate study in Architecture in the Faculty of the Built Environment at UNSW. This Scholarship is available to both international and local students. 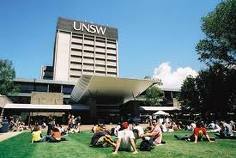 Scholarship recipients must be undertaking full-time Postgraduate study in the Faculty of the Built Environment at UNSW. The Scholarship is open to graduates from UNSW or from any other institution approved by the Dean of the Faculty of the Built Environment – having completed the degree of Bachelor of Architecture (or its equivalent), or a degree in an Architecture related field, as determined by the Dean. The successful applicant must be enrolled within three months of accepting the award and may, with the permission of the Dean, be permitted to undertake up to 20 hours of paid employment in each week. Each applicant will be assessed on the basis of academic merit. The Scholarship recipient may hold another Scholarship or Award with permission of the Graduate Research School. The Scholarship is tenable for one year only. Previous recipients may re-apply. Completed application forms and any supporting documentation should be scanned and emailed (preferably as a single pdf document) to the Graduate Research School on scholarships.grs@unsw.edu.au by the specified closing date. Demikian kami sampaikan tentang The Wightman Postgraduate Scholarship in Architecture, University of New South Wales, Australia semoga informasi tentang The Wightman Postgraduate Scholarship in Architecture, University of New South Wales, Australia ini bermanfaat.